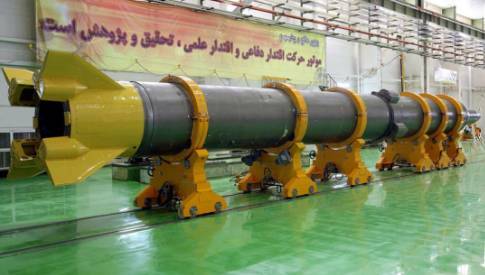 New Iranian solid-fuel missile "Sejil"
New Iranian two-stage solid propellant missile "Sejil"
TEHRAN, 2009, Dec. 16 --- Iran has successfully tested an optimized version of the solid-fuel Sejil-2 missile. This new version of the Sejil-2 is faster during the powered flight portion of its trajectory and also during the re-entry phase. 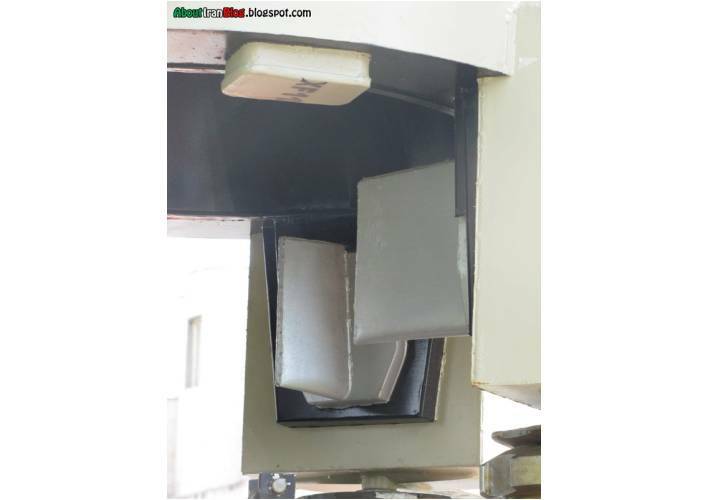 It is also harder to detect for anti-missile systems, as it is covered with anti-radar material. 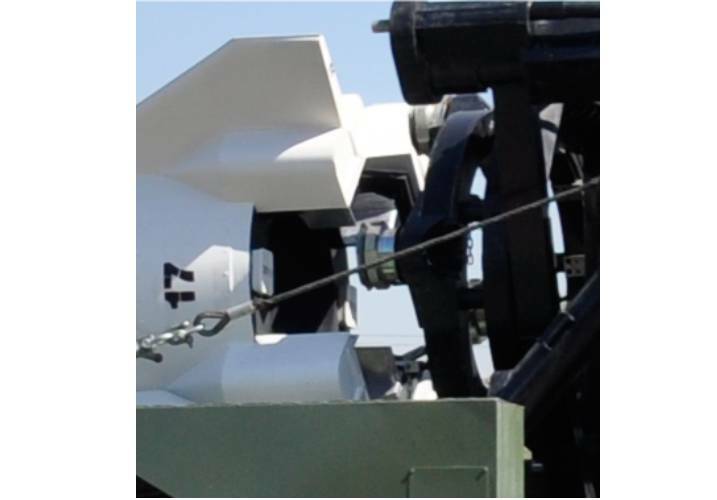 The new highly maneuverable missile is also more efficient as it requires less amount of time for prelaunch preparations. 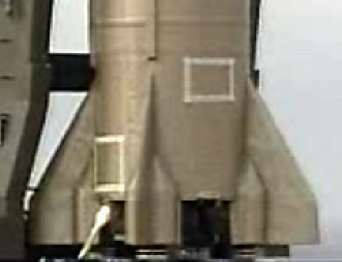 The engine and various fuels have been tested and the platform is now highly reliable. 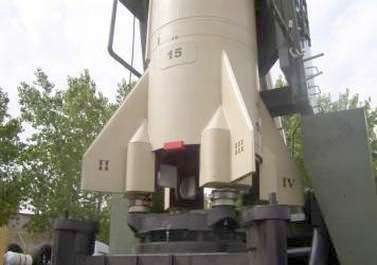 TEHRAN, 2009, May 20 --- Iranian President Mahmoud Ahmadinejad said that the country successfully launched an advanced surface-to-surface missile Sejil-2 with a range of about 2,000 km, the official IRNA news agency reported. 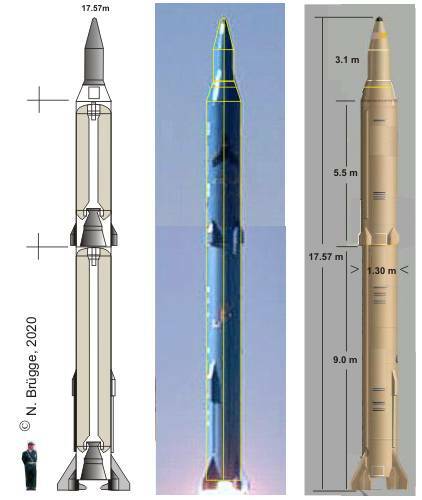 The Sejil missiles use solid fuel and perform in two stages. 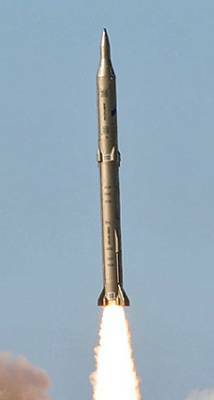 TEHRAN, 2008, Nov. 18 --- Iran flew its new missile for the second time. Iran's defense Minister Mustafa Najjer was sufficiently satisfied to release impressive video footage showing what was clearly a previously unknown large multistage ballistic missile roaring off a mobile launcher. 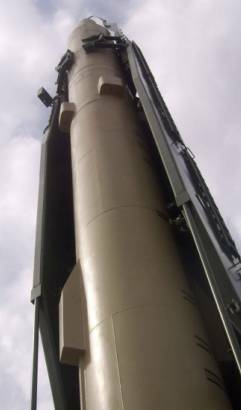 In a series of interviews after the test, Najjer stressed that the new "Ashura" missile is renamed "Sejil", and had a range of more then 2,000 kilometers and that it was a two-stage design, powered by composite solid-propellant rocket motors. TEHRAN, 2008, Nov. 12 --- Iran test fired a new generation of ground-to-ground missile, the defence minister Mostafa Mohammad Najjar as said. "This is a two-stage missile carrying two engines with combined solid fuel," Najjar said, adding that the missile was named "Sejil". 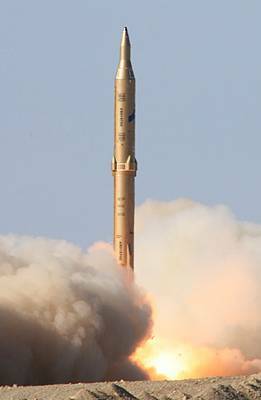 TEHRAN, 2007, Nov. 27 --- Iran has built a new longer-range ballistic missile named "Ashura" with a range of 2,000 kilometers , the defense minister Mostafa Mohammad Najjar said. 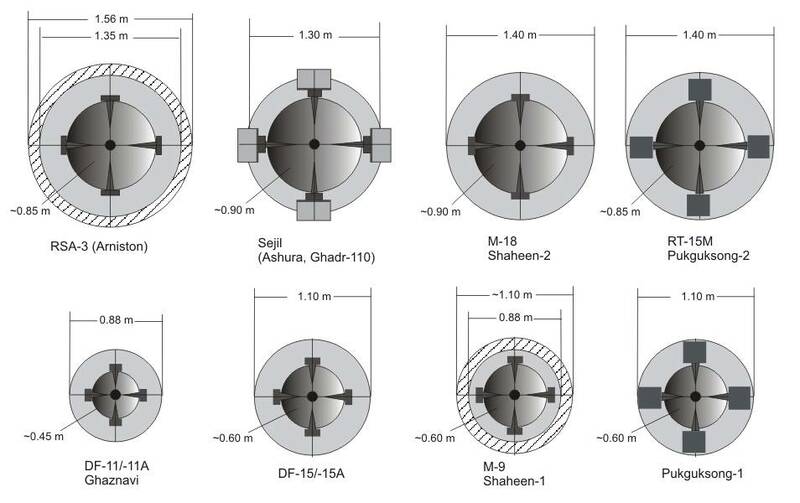 Against first conjectures is this new large Iranian two-stage solid propellant missile "Sejil" not based on Chinese Dong Feng missile DF-15 because the diameter is approximately 1.25 m and not 1.10 m. An affinity to the Chinese M-18 (Pakistani Shaheen-2) with a diameter of 1.40 m can also not be recognized. That means that the origin is unknown up to now. 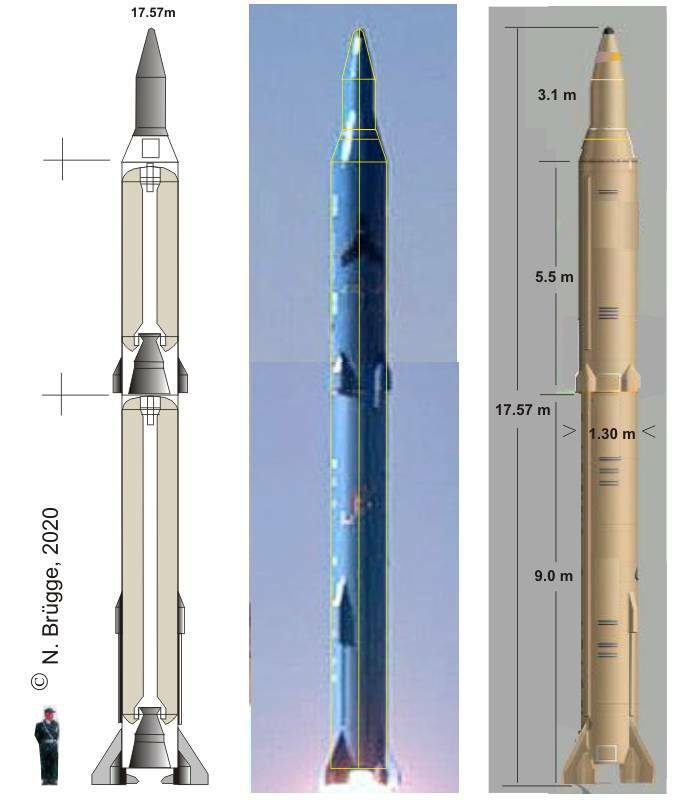 It is reported that this missile was developed and produced under the leadership of the Air and Space Organization Department of the Iranian Ministry of Defense. 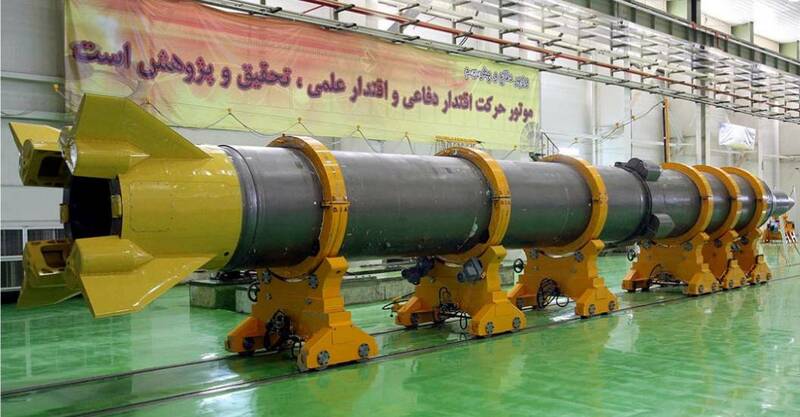 I can not believe that Iran has developed the Sejil missile without technology transfer. 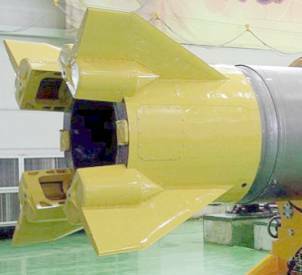 For other Iranian missiles, such an technology transfer was always detectable. The little-known Soviet 5Ya27 missile and the South African “Arniston” missile are the world's known two missiles with a diameter of about 1.3 m. But the Arniston missile is not in consideration according Israeli specialists. 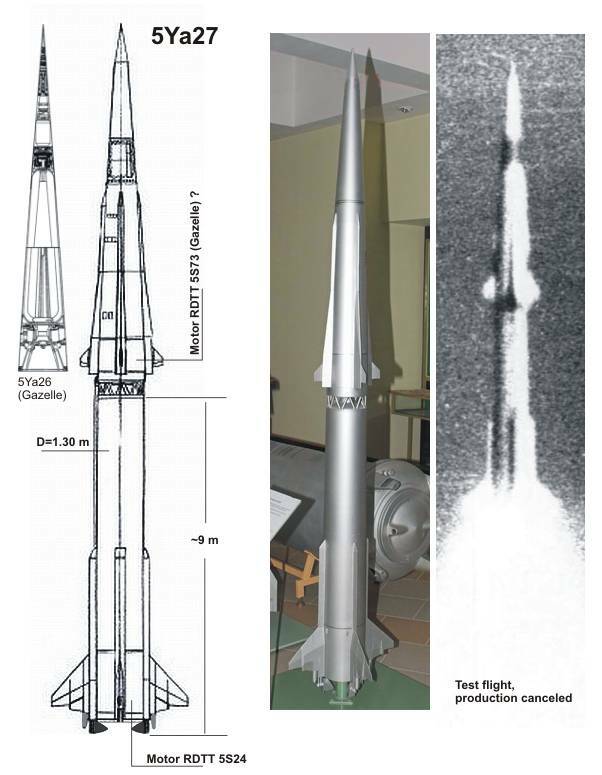 Thus it is likely that the Sejil is based on old Soviet technology. 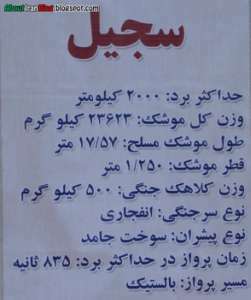 (OKB Fakel 5Ya27 ABM ). 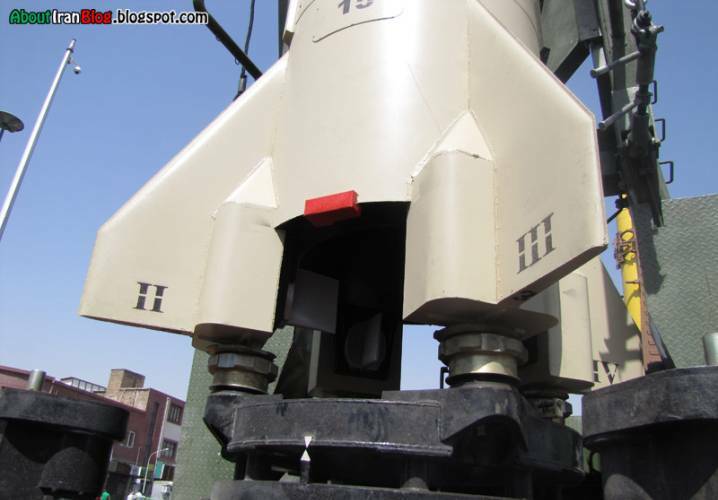 As far as known, only four of the Sejil missiles have been tested since 2008. After that we have seen only modells on parades.This is an indication that a mass production is not possible because it is a one-time delivery of remnants from a foreign arsenal. On the pictures below, is to see that the boxes are closed by plates. It is now clear that the jet vanes are welded on the plates. 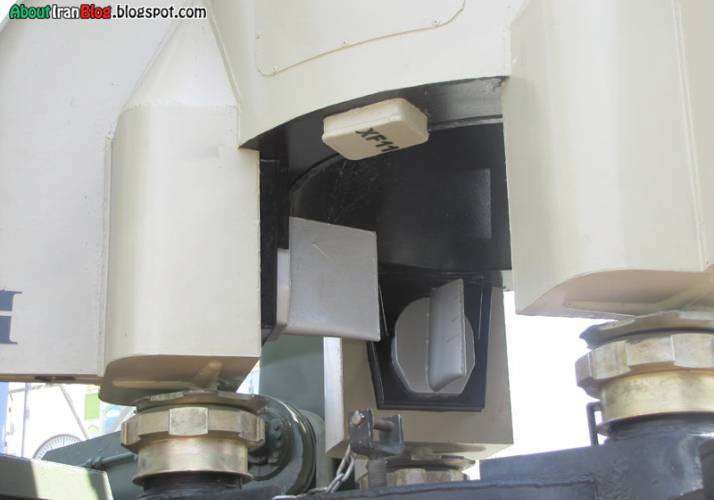 Pressure gas boxes for first stage thrusters ? 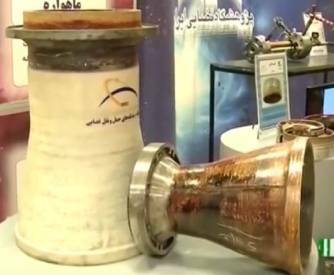 Recently there was a missile exhibition in Tehran and for the first time there are exact specifications for several of Iran's missiles such as the Ghadr-I (called the Ghadr-F in Iran) and the Sejil missiles. 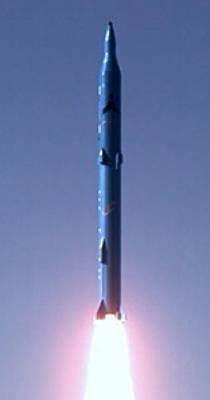 Also Iran displayed the specifications for the Qiam-1 and Shahab-2 as well. These have been accompanied by images. 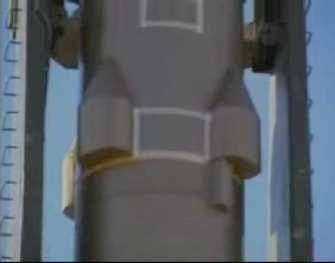 Also of interest is excellent close up images of the Sejil's engine exhaust area, showing it uses jet vanes.